Made from a medium density hardwood from the Phoenix Tree, our range of Phoenix Wood plantation shutters in Melbourne are solid, and damage resistant. Almost as light as cedar but much harder, Phoenix Wood shutters are resistant to cracking and paint damage. Our range is available in Bi-Fold, T-Post and Sliding installation methods, with a range of framing options and panel shapes to choose from. Resistant to UV, they effectively block out the light, while also being a great way to control the temperature in your home. We offer a large range of colours and stains, so no matter your home’s interior, we are able to create a style to match. 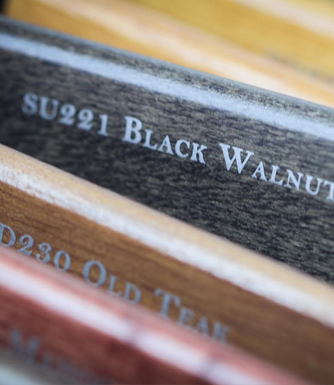 Because of the ability to work with the wood, a variety of shutter panel shapes can be supplied. Get in touch with us today, and find out how we can install Phoenix Wood plantation shutters in Melbourne at your home or office.